The Lesson Program at Cessna Stables has been carefully thought out and designed to help riders move from having never ridden before all the way to becoming an advanced rider. 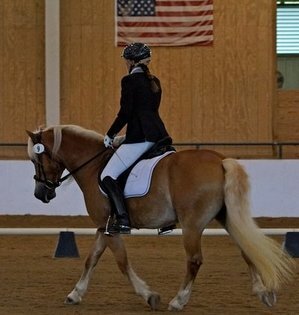 Our goal is to turn out riders who are consistently correct in their equitation, solid in their balance and basics, thoughtful and empathetic in their horsemanship, knowledgeable in the principles of Classical Training (dressage) and successful in reaching their personal riding goals - recreational or competitive. New students may begin with the New Student Package: 10 (45min.) private lessons for $375! In order to give beginners and new students the best start possible, I offer the 1st 10 private lessons (45 mins. approx.) at a substantial discount. For safety reasons it is obvious that beginner's will do best with a private lesson. Also, the beginner student will be learning many new skills in a short period of time including horse handling, grooming/tacking, mounting/dismounting, etc. They will also spend a good percentage of time on the lunge line. All of which is best done one on one. For New Students who have prior experience, I often spend a lot of time with them on the lunge line correcting position problems. For this reason, it is often very beneficial for the student to begin in private lessons. After 10 lessons, most new riders will be independent enough to safely (and productively) join a semi-private lesson. If they prefer, students may remain in private lessons at the regular price ($45/45 mins.). After completing their first 10 lessons, I highly encourage students to consider joining a semi-private lesson (2 riders for 1 hour). A semi-private lesson offers many benefits: lots of individual instruction, the opportunity for continued lunge line work, the camaraderie of riding with another, learning to work in a group, more time for less money, etc. For many, it's also a better choice than a larger group which can be chaotic and students may get lost in the crowd. The cost for semi-private lessons is $35 ($30 on your own or leased horse). All semi-private lessons must be scheduled and pre-paid at the beginning of each month. One makeup lesson (if 24 hours notice is given) will be allowed every 2 months. If one rider cancels, the other will not be penalized. I will pair riders of similar skill levels and ages whenever possible. You don't have to come with a partner, I will find you one! It is highly recommended that you consider taking 2 lessons per week whenever possible, especially if you do not have any other practice time on a horse. Your progress will be MUCH faster! Once a student has reach the Advanced Beginner level, they should consider a partial lease so that they can practice skills outside of lessons and continue to progress up the levels of riding. 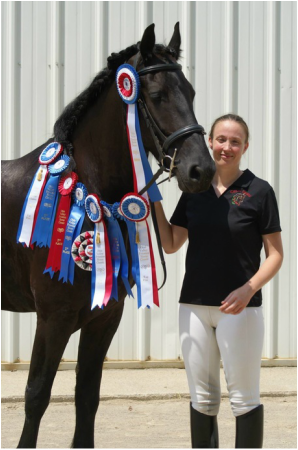 For riders that prefer private lessons, trailer-in students, horse owning students, or those with hectic schedules that are hard to nail down, private lessons are available. The cost for a 45 minute private lesson is $45 ($40 on your own or leased horse). A 30 min. private lesson is also an option, best suited for an advanced rider working with their own horse or as a supplementary lunge lesson. The cost for a 30 min. private lesson is $35 ($30 on your own or leased horse). In order to make progress as a rider, spending a good deal of time in the saddle is a requirement. While purchasing a horse is a great option for some, it may not be for others. Another possibility is a lease (full or partial). If you are not ready for the commitment of horse ownership (and maybe even if you are), leasing is a great intermediary step. A partial lease is far less expensive than owning a horse and requires far less commitment. It is a great way to get extra practice time (and horsey enjoyment time!) so that you can continue increasing your skills, even if you are not ready or able to purchase. If you or your child would like to participate in horse shows but do not own your own horse, a lease is the way to do it. Showing requires an additional level of skill, both for safety sake and in order to do well. Leasing a horse will allow the student the extra practice time needed. For those interested more in Trail Riding, a lease is also a great option. For more information on LEASING AND RATES, click here! When you are ready to make the step to purchase your own horse, we will be happy to assist you in making a wise choice! Buying the right horse can be very difficult! I would much rather help a student find the right horse than help them deal with the wrong one! If you are considering buying a horse and you are not an intermediate or above rider, I highly recommend beginning with riding lessons. It is quite common for novices to buy a horse that is too much for them and it is very difficult to bring a horse down to the level of the rider (and expensive). For more information on Purchasing a horse, send me an email or give us a call! Please call, 330-461-2318 or email cessnastables@yahoo.com, to set up a HALF-PRICE TRIAL LESSON!